Back-End Sales Loads: These are fees that an investor must pay while selling the investments. Categorized as the “Deferred Sales Charge (Load),” these fees are deducted while redeeming fund shares. The advantage of back-end sales load over front-end sales load is that the entire capital (minus other charges) is invested at the time of purchases. The sales load here is calculated off the initial investment made and not based on ultimate fund value. PRIMECAP Odyssey Aggressive Growth Fund (MUTF:POAGX) seeks to provide long-term capital appreciation. POAGX invests primarily in the common stocks of United States companies, especially those with prospects for rapid earnings growth. The fund may also invest in common stocks of companies from different market sectors. Deutsche Science and Technology Fund (MUTF:KTCSX) seeks capital growth. KTCSX invests a large chunk of its assets in common stocks of companies from the science and technology sector. Although the fund invests mainly in domestic companies, it also invests around 35% of its assets in non-UNITED STATES companies. AB Discovery Growth Fund (MUTF:CHCYX) seeks capital growth for the long run. CHCYX maintains a diversified portfolio by investing in equity securities of small- and mid-cap companies. For the fund’s investment purpose, those small- and mid-cap companies that are chosen come within the market-cap range of lowest 25% of the overall UNITED STATES equity market. Matthews China Small Companies Fund (MUTF:MCSMX) seeks appreciation of capital for the long run. The fund attains its investment goals by investing primarily in preferred and common stocks of small-cap companies based in China. Fidelity Select Health Care Portfolio (MUTF:FSPHX) seeks capital appreciation by and is managed by Fidelity Group. The fund normally invests a bulk of assets in common stocks of companies principally engaged in the design, manufacture, or sale of products or services used for or in connection with health care or medicine. 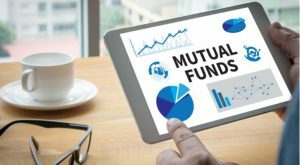 Article printed from InvestorPlace Media, https://investorplace.com/2018/07/5-best-performing-no-load-mutual-funds-first-half-2018-ggsyn/.